Jim came to Lake of the Ozarks from St. Louis in 1973 he saw endless possibilities and a wonderful place to raise a family. There were only 19 homes in Four Seasons on Horseshoe Bend and only two of those were year-round residences. The bulldozers were still at work on Witches Cove Golf Course, a 16-foot boat was the norm and waterfront lots were selling for $160 a foot. Today thousands of lake homes dot the shores of Lake of the Ozarks, there are more than a dozen championship golf courses around the lake, luxurious yachts share the lake’s blue waters with powerful sport and fishing boats and property values continue a decades-long rise. One thing has not changed: Jim Albers’ dedication to his real estate clients. 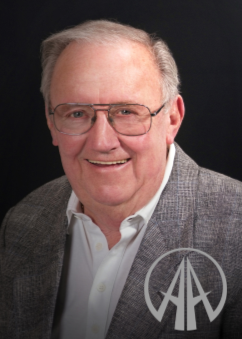 For more than four decades, Jim has worked hard to help hundreds of other families realize their Lake of the Ozarks dream. The hallmark of his long tenure with Four Seasons Realty has been dedication to outstanding real estate service. 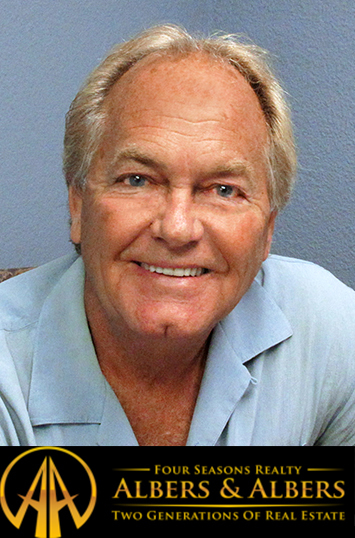 Whether as a Four Seasons Realty Broker or as one of the organization’s leading Realtor’s®, the client comes first with Jim Albers. A member of the Bagnell Dam Association of Realtors since 1985, Jim is active in both Board of Realtors and community projects. Peggy Albers, a third member of the Albers real estate family has joined Four Seasons Realty, carrying on a generational tradition of real estate excellence. Realtor, Peggy Albers, joins her father, Jim, in an association with Four Seasons that stretches back to the 1970s. “The Albers family has been part of Four Seasons virtually from the beginning,” Annette Fox-O’Connor, vice president of Four Seasons Realty, said. “This kind of continuity is one of the great strengths of Four Seasons and one of the reasons we continue to be a market leader in real estate. Peggy Albers is Missouri’s Top Agent! Featured in and on the cover of the October 2017 Top Agent Magazine. 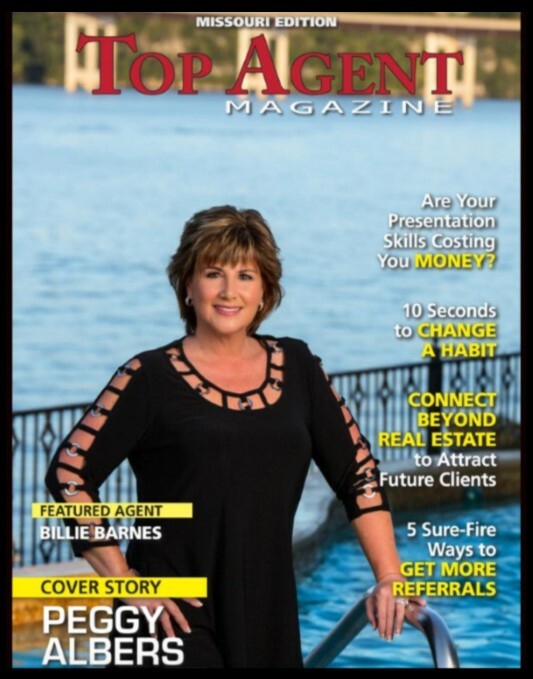 Top Agent Magazine is the premier real estate magazine featuring the foremost real estate agents, mortgage professionals, and affiliates in the USA, Europe, Canada, Australia, and New Zealand. Top Agent Magazine features the top producing and most accomplished professionals in the real estate industry, offering an in-depth look at their careers and providing a blueprint for their success. Top Agent has set itself apart as a trusted source of real estate information and inspiration. Peggy Albers is a stellar example of the kind of prominent leaders of real estate we are proud to feature in Top Agent Magazine. Mary is a lake native who knows the market, the area and the special nature of Lake of the Ozarks real estate. 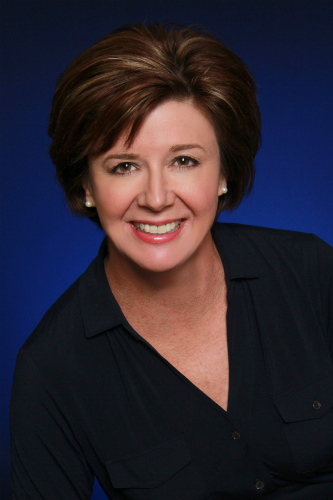 As one of the lake’s top real estate producers, Mary brings a wealth of experience and expertise to the closing table. She is a Certified Residential Specialist, and Accredited Buyer’s Representative, an alumni of the Graduate Realtor Institute and a member of the Institute for Luxury Home Marketing. Mary’s involvement in continuing real estate education is a hallmark of her commitment to providing the very best for her clients. Mary’s real estate accomplishments and client commitment have been recognized by her peers. 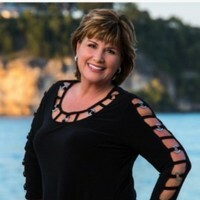 She is an active member of the prestigious Missouri Association of Realtors and served as 2008 president of the Bagnell Dam Association of Realtors, the largest such organization in the lake area. She has been repeatedly honored by BDAR for her extraordinary service to the realtor association and the community, including selection as Realtor of the Year in 2005. Mary’s unique combination of lake knowledge and client care have made her a leader in a very competitive market. Lake of the Ozarks is a complex real estate market. As with all real estate, location is critical for value. But, because people come to the lake for fun from fishing to fine dining, location is key to full enjoyment of the area. Fishermen may prefer the quieter waters of the lake’s less developed areas while those interested in cruising to waterfront bars and restaurants may want to be in the heart of the action. Mary takes care to identify the needs of buyers and carefully target clients for sellers. She specializes in all of the Lake communities, including Four Seasons, Porto Cima, Lake Ozark, Osage Beach, Rocky Mount, Camdenton and Sunrise Beach. Mary’s real estate success rests on the pillars of lake knowledge, continuing education, community involvement and client satisfaction. Randy joins our team with over 40 years experience. He has been licensed since 1976. I know that buying and selling your home is an emotional yet exciting process for you and your family. I will patiently guide you through each step, explaining the process, answering questions and navigating the negotiations along the way. And long after the sale is closed, I'll still be here ready to help you find information on refinancing, home warranties or even just a good handyman in your neighborhood. I’ve been in the Information Technology field for over 20 years but I’ve always had a passion for real estate. Now I’m excited to assist you in selling your home or purchasing your dream lake home so that you can enjoy all of the fun that lake life has to offer. Whether it be home on the water, maintenance free condo, timeshare, or a lot to build on, l will help you find the best option to get you in the sun, on the water, or onto the golf course. My mission is to help you meet your real estate needs so that you will be able to build new memories with your family at the Lake of the Ozarks or to move on to new adventures elsewhere.